DAA is eager to find dynamic, passionate people to help us shake up education in Detroit. Is that you? Teaching is hard work. Here’s how we say thanks. In the 2019-2020 school year, Detroit Achievement Academy will serve 190 kindergarten through seventh grade students. Our work is urgent and focused on providing a holistic education for each of our students. Our model is designed with diversity in mind—we draw students from all backgrounds, and we practice equity in all we do to ensure that every student in Detroit has access to and receives an exceptional education that prepares them for a lifetime of choice and opportunity. Are committed to equity and the belief that all children in Detroit can reach their full potential as learners, leaders, and world-changers. We understand the value of having teammates that reflect the diversity of our students and their families. We strongly encourage leaders of all backgrounds and identities to apply. Sound like the place for you? Click the button below to view our open positions and submit your application now. When you read about Detroit in the news, most of what is highlighted is concentrated in the 7.2 mile stretch of Downtown and Midtown. 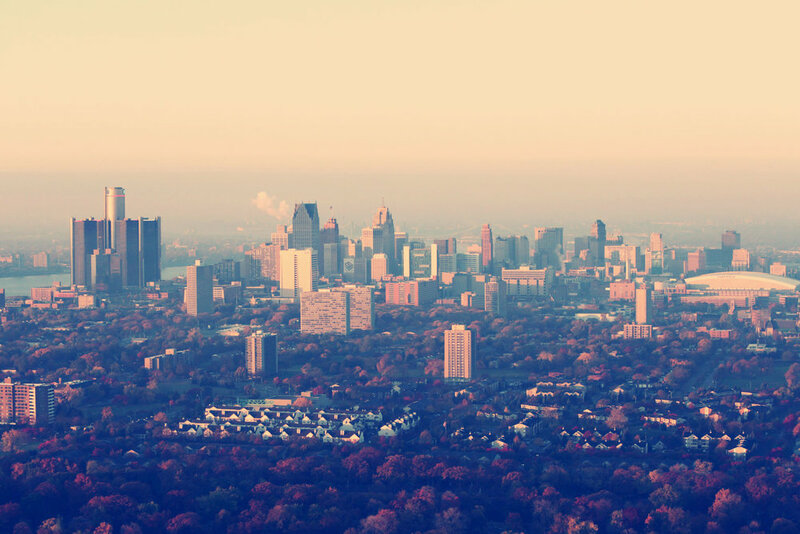 Yes, these areas contain hundreds of great restaurants, 3 stadiums, Wayne State University, the Riverwalk and the “Museum District” containing the DIA, Charles H. Wright Museum, Detroit Historical Museum and the Michigan Science Center, but Detroit is huge. Boston, San Francisco and Manhattan could all fit into the footprint of Detroit with a few miles to spare! The diverse neighborhoods of Detroit are what make this city so beautiful. Detroit is steeped in rich history and is filled with active communities and dedicated public servants. Detroit also has lots of ways to explore the outdoors! Belle Isle, River Rouge, Palmer Park, Chandler Park, Historic Fort Wayne, the Riverwalk, and so many more. The City of Detroit is also leading the charge at making Detroit “a city for educators”. Through its Teach 313 Initiative, they are rallying together local businesses to support the teachers in the city and creating a central hub for resources, incentives, and career opportunities with our online platform and app. Additionally, Michigan was listed as the best state in the US in 2017. We have craft beer, a growing whiskey distillery scene, the most coastline of any other state except Alaska, sand dunes and the gorgeous Upper Peninsula. So what are you waiting for?